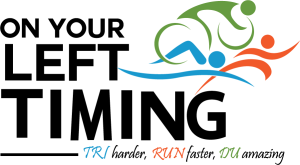 Oro Valley Triathlon and Duathlon Festival: How to setup your Transition Area - PLEASE READ! 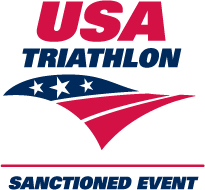 Please let your family and friends know that the transition area is for ATHLETES ONLY! 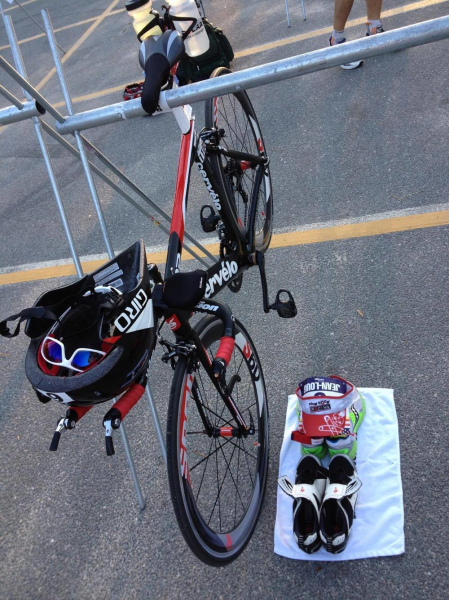 Your transition area is NOT a place to set up a "mini picnic" with a full-size beach towel. There should be 5-6 bikes on a race. If your equipment doesn't fit on a kitchen-sized towel, you don't need it. See the photograph below for a proper transition area setup.